Bad ideas happen to anyone, but truly awful ideas live on forever. Some bad ideas are infamous (remember New Coke or the XFL? ), while others have managed to slip under the radar of public consciousness—like the in-car record player. But just because we’ve forgotten a bad idea doesn’t make it any less horrible. We all cringed when Michael Jordon announced he was leaving basketball for baseball, but did you know that Whoopi Goldberg made a never-released $35-million buddy cop movie where her partner was an animatronic dinosaur named Theodore Rex? Part history, part comedy, Worst Ideas Ever takes a look back and explores some of the biggest flops of all time. They say hindsight is 20/20, but it’s hard to believe nobody saw these coming. This book delves into the history of disaster, taking you through failed marketing campaigns, terrible pop icon projects, disastrous corporate decisions, and more, with the authors reviewing every funny detail of what went wrong. 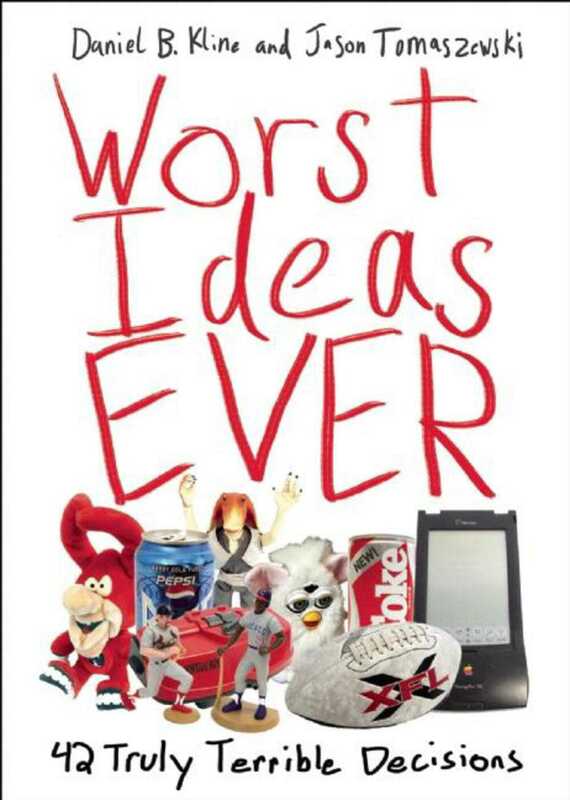 Worst Ideas Ever shows what separates the merely bad ideas from the terrible ones.